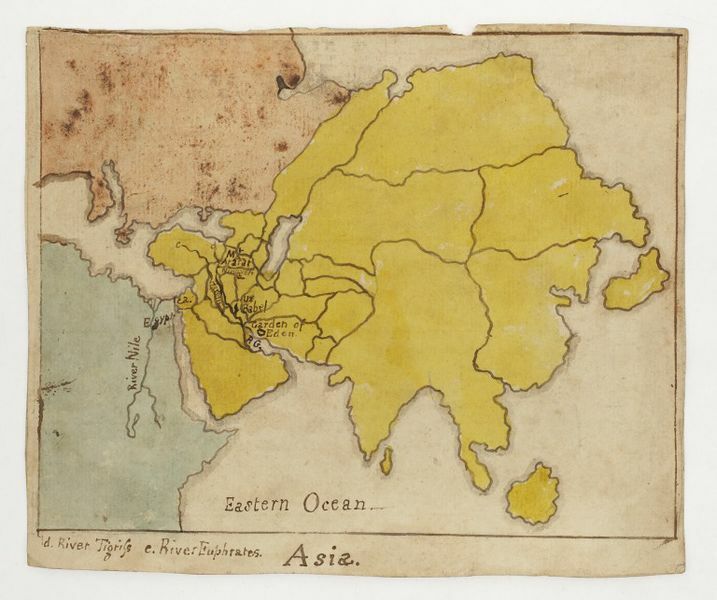 This watercolour map was drawn by a child. The borders for most countries of Asia have been drawn in but only in the Near East have countries been identified, including some rivers and place names from the Old Testament. It was held in Lady Charlotte Finch's puzzle cabinet, in which she kept the dissected map puzzles she had commissioned for the children of George III, in her role as Royal Governess. 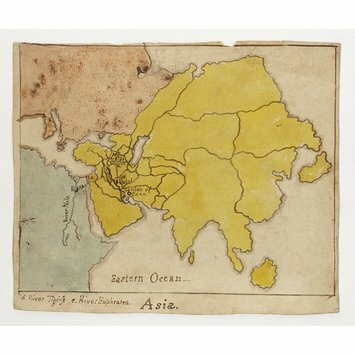 Watercolour and pen drawing on pasteboard, depicting a map of Asia coloured with watercolour wash in yellow, Africa in green and Europe in pink.